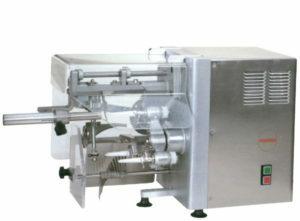 The ASETSM-E apple peeler is an easy to use apple peeling machine made to peel, core, wedge, and slice all types of apples. The stainless steel and anodized aluminum design makes the system easy to maintain. Core, peel and cut products are kept separate. 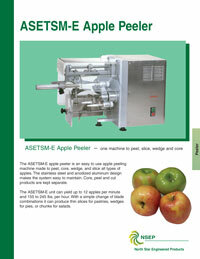 The ASETSM-E unit can yield up to 12 apples per minute and 155 to 245 lbs. per hour. With a simple change of blade combinations it can produce thin slices for pastries, wedges for pies, or chunks for salads.